On the morning of Eltham junior parkrun's second event we had made plans to go to the cinema at Bexleyheath for a nice morning out. 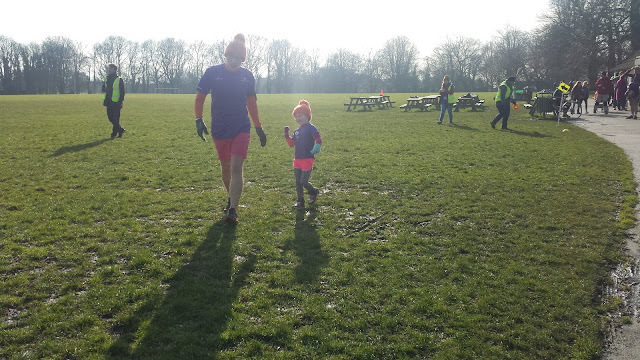 The film was scheduled to start at 10am so we had just enough time to squeeze in Matilda's 20th junior parkrun beforehand. Winter seemed to have turned up a little late this year and although it was March it was actually colder than January and February had been. So we wrapped up just enough to make sure we didn't freeze and headed over to Eltham Park South. I felt that last week's blog lacked a little detail about the park and while looking around I found a sign in the park that explained a little more about the park's history. 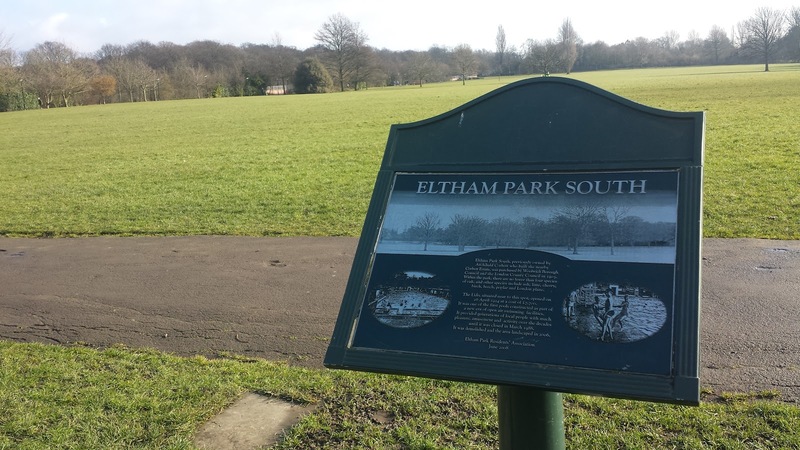 It says that Eltham Park South was previously owned by Archibald Corbett who built the nearby Corbett Estate. The park was purchased by Woolwich Council in 1903. In 1924 a Lido was opened. It remained open and in use until it was closed in 1988. It was demolished in 2006 and the area landscaped into what we see today. 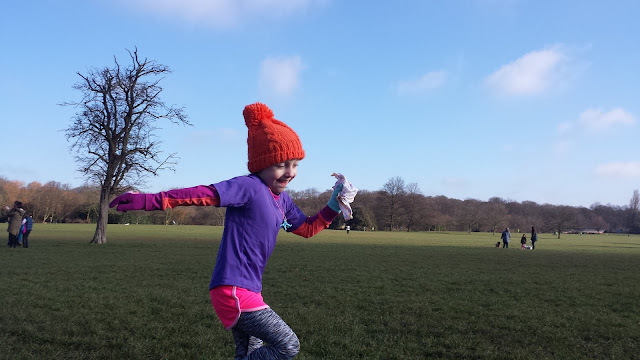 The plan for Matilda's parkrun was to get around, get scanned and then get straight back to the car so we had a fighting chance of getting back to the cinema on time. 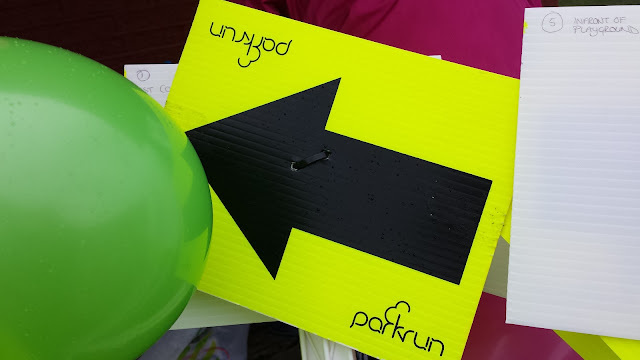 So we listened to the run briefing, had our warm-up and then got straight on with the two laps that make up this event. The grassy sections felt a little squishier in places than the previous week, but that didn't stop us playing the usual set of games as we went around the course. For Matilda, this week featured less snot-a-roos so we managed to get around almost three minutes faster than last week. 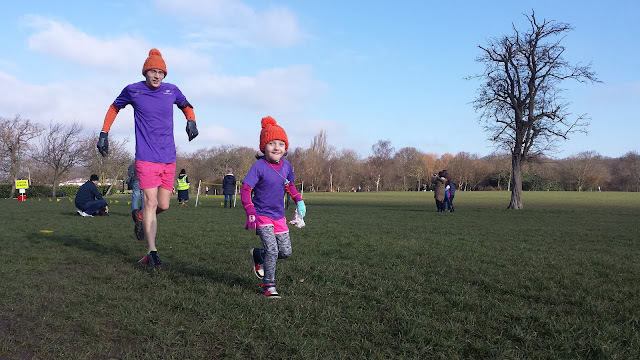 This meant that she came away with a new personal best for the course, which was nice. 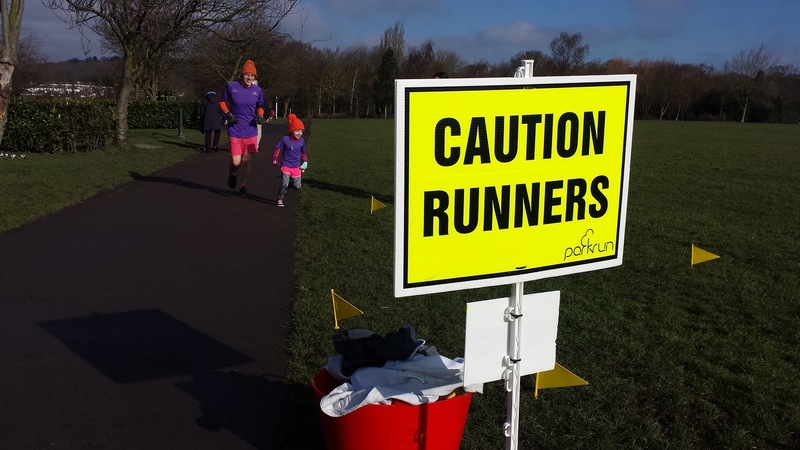 It was also great to see that the entry angle to the finish funnel had been adjusted making it much easier to run into (see my previous Eltham parkrun blog]. While we were running, my wife ordered us some toast from the cafe and was very impressed with how friendly they were. So we were able to have a quick snack as we headed back over to the car which worked out pretty well. We hit the road and made it to the cinema just in time to see The Good Dinosaur, which was pretty good.